In light of recent events, Guide to Kulchur wants to amp up the funding behind our Books to Prisoners program. With your help, we are able to respond more quickly to requests, and package up additional titles to distribute (including The New Jim Crow). Now more than ever, prioritizing the rights of those most under attack culturally and socially. Lifting up the right of incarcerated and formerly incarcerated folks is a core tenet of the work Guide to Kulchur does, and we know that increasing access to history, politics, sociology, and educational resources generally will increase the ability of all people to educate and advocate for themselves. Carceral institutions are actively contracting with vendors who limit the scope of titles available to inmates. Carceral institutions also institute rules like no property sharing, which they name “trafficking” and suspicious. How then can we provide resources to inmates? With your help, we've almost reached our goal! Please donate and SHARE to help us finish this campaign. Books to Prisoners maintains relationships with individuals at various institutions to ensure that we can serve incarcerated individuals, and continue to provide services on an ongoing basis. By increasing the funding for the program, we increase the number of titles we can provide, and increase the number of requests we can respond to, and increase the frequency at which we are able to deliver titles. Help us be faster, more efficient, and more effective by donating to our Books to Prisoners program now. A volunteer run organization housed and operated at GTK. 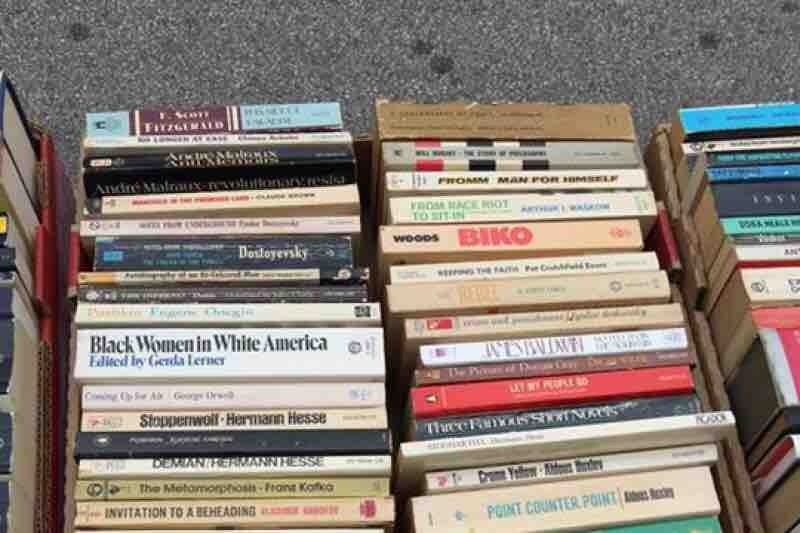 B2P sends free books to prisoners in Ohio upon request. We spend our donations on postages, mailing supplies, copies, and books. We believe that books have the power to decrease the isolation and dehumanization of the prison system, and stimulate individual growth and positive change. Many of the requests we receive are from prisoners with little or no access to adequate prison libraries or educational programs. Cleveland Books 2 Prisoners is a community based, direct action response to this problem. We at Guide To Kulchur are continuing the campaign to add 10,000 more readers receiving books from Cleveland Books 2 Prisoners! We need your help to do it, we have the books, and together we can raise the postage needed to sustain that type of increase! Anything helps including sharing this campaign. We thank you in advance for all your support. In light of recent news stories of governments and organizations attempting to ban certian critical works from prisons, we have renewed vigor to infiltrate these facilities with the literature these people are requesting. When institutions begin to restrict access to information for our most marginalized populations it’s only a matter of time before systems turn to the rest of us. Thank you for helping us send these books. A $10 donation buys 9 bubble mailers size 6x9. You Want” resale entity for a day, but allows us to not differentiate between prisoner books and patron books. Meaning - you can get what they can New or Used. As we transition to 501c3 status our mission is to enhance the services we provide through Books 2 Prisoners to include re-entry support, commissary support for long term subscribers and communication support for families. Your donations not only sustain the day to day operations of mailing books, writing resources and pen pal letter mailing, but will also be the base of our grassroots fund raising as we seek grant opportunities through traditional funders!